Every year, coming up to Bob Dylan’s birthday, Esther found herself succumbing to a deep depression. She knew in her heart, that this year was going to be the depression to end them all. This year Dylan would be fifty. She had never confided the reason for this annual bout of the doldrums, though it has to be said that all who loved Esther; and indeed she had many admirers, noticed it and in their own discreet and sympathetic ways, chivvied her out of it. By mid -June each year she would have returned to her normal happy go lucky self. (Dylan’s birthday was May 24th) That particular date had always held special significance for her anyway. Esther had followed Dylan’s career with the steadfast passion of the true fan, since the moment she had heard the thin tuneless voice waver over the airwaves of Radio Luxembourg. It had been around the time of his birthday in May 1963, and the song was “Don’t think twice it’s all right”. The next day she went in search of the record, and came home with a copy of the “Freewheelin Bob Dylan”. This was Dylan’s second album, but the first to make any impression. Esther was enthralled. She played it repeatedly on her blue Dansette record player, a birthday present from her parents, until they threatened to take the machine from her. So she carried it over to her friend Moya’s and took advantage of the fact that her parents worked, and they had the place to themselves. She sang along with them, imitating the distinctive nasal twang, stopping only for breath between tracks. She memorised every line, and the words mesmerised her, and affected her deeply. The rest of her class in school was swooning over the Beatles by this stage, but Esther was true to Dylan. It would be wrong to assume that Esther’s life was ruled completely by her devotion to the great man, but he always remained part of her, and over the years she faithfully purchased each LP and remained constant. The fact that she wore a leopard-skin pill box hat, and was given to quoting some of Dylan’s more acid lines to her boyfriends and circle of friends lent her a kind of Panache not commonly found in Coleraine. She had no shortage of dates, but her mother grew concerned that none of these returned because of her abrasive line in repartee, and begged her to stop disgracing her about the town with her eccentric behaviour. However, she eventually she met a nice well balanced man who loved her enough to indulge her obsession, which in truth, was overshadowed by the births, in quick succession, of her three children. He did draw the line at naming the second boy Dylan but was happy enough to settle for Bob, since it was his own name anyway. They had married the year “Nashville Skyline” was released, and for obvious reasons, “Lay Lady Lay” became their song. On May 24th 1971 Dylan was thirty. Esther read this fact in the Birthday’s section of the Guardian. She already knew it of course, but she liked to check that in was there in print nonetheless. It was then that she made herself a promise. 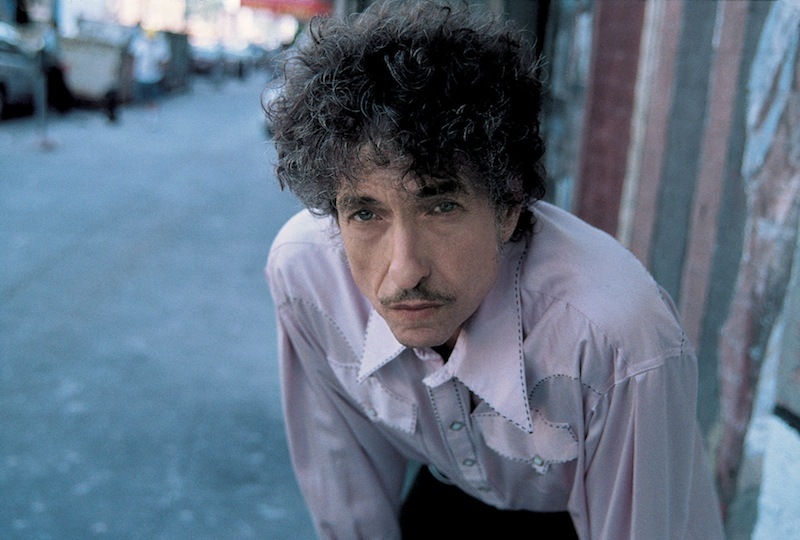 By the time Dylan was forty- in 1981, underneath the Today’s Birthdays listing- Bob Dylan 40 it would say- Esther Scott 35, for the truth was that she shared a birthday with her hero. Esther was not a stupid woman. She knew it would not be easy to find international stardom. She had no very obvious talents. She had an easy-going nature, could tell a good story, and was passably pretty, but none of these were ideal qualifications for fame. Besides which, she felt that Coleraine had not contributed heavily to the international scene. An added complication was Esther’s three children, which she had chosen to have in quick succession. Bringing up three children close in age did not help Esther’s aspirations to fame. She made several half-hearted attempts at songwriting. And even submitted one for Ireland’s entry in the Eurovision Song contest. Though she had no success, she was temporarily heartened when one of the publishing companies rejected her song on the grounds that it was too “Dylanesque”. She knew then that she must be on the right track. Every time Dylan visited Britain, Esther was in the audience, remaining loyal throughout every mood and craze. Her ex husband was scrupulous about child support and having them to stay with him and his new wife, but often, money was tight. When Dylan arrived at Wembley in 1981 for a week of concerts she couldn’t afford to go. The fact was, that his conversion to Christianity had disappointed her. There was no particular reason for this, she would certainly have said she was a Christian herself if asked, and had imparted the faith in a mild way to her children, bearing in mind that they did live in Northern Ireland. The album ‘Slow Train Coming’, released in 1979, had been mediocre, she thought, even to as dedicated a fan as herself. The imagery of crosses on the cover seem to underline the cross Esther had to bear herself, because its release had coincided with her ex husband’s new wife having a baby which the boys were besotted with. Esther thought this nothing short of treachery. The worst culprit was her youngest son, whom she had brought up practically single-handed. He had been only three when his father had left. That the child was a girl, only made matters worse. She and Bob had been trying for a girl when their youngest was born. She resented him for holding on to the fateful Y chromosome until his fourth attempt. So there it remained. Dylan was 40. Esther was 35. The only thing they had in common was the fact that they were both divorced. He was now a legend, and she remained completely unknown outside her own circle of friends, and her colleagues at work. She thought fondly of the times when she had contemplated streaking at a Dylan concert to make the headlines. Her natural reticence combined with the thought that this would be a fleeting moment of fame and cause untold distress to her family and those dear to her had prevented her taking this action. So suddenly, she found herself in 1991 with only a few months to go. If she couldn’t realise her ambition by his fiftieth birthday she’d give it up as a lost cause. Maybe, it was a stupid desire to start with, and anyway there would be no loss of face involved. She’d told no-one, except once years ago on a visit to the dentist, the nitrous oxide she’d been given for her nervousness allowed her to confide her ambition to a bemused dental surgeon. He’d laughed at her and advised her not to drive for a couple of hours since she obviously had an exceptional reaction to the gas. She used to blush for months afterwards, thinking of how easily she could have betrayed herself. She had a really superstitious belief that it would never come to pass if anyone were to find out. Anyway, most of her friends had forgotten she shared a birthday with Dylan -if indeed they had ever known. As May 1991 approached, she felt increasingly despondent. She recalled her mother telling her once, that none of the Esther’s in her family had amounted to anything, none of them -and there had been about six to date- had ever had much luck, were her exact words. She had somehow failed to realise that Esther would not feel much consoled by this piece of information, particularly as she had chosen the time of Esther’s impending divorce to tell her. Now, feeling her annual depression waft over her, Esther visited her friend Moya, who had remained close over the years. Moya read her Tarot, made her an infusion of Celestial Seasons Mango tea, and after a few hours chat, decided she was suffering from SAD. It had in fact been a rotten winter. She advised her to book a course of Sun bed treatments and suppress the idea she was courting the chances of skin cancer. Esther herself felt it was time to do something more dramatic than that. She needed a holiday, preferably in the sun. She decided to visit America. She had never been there. It would be like a pilgrimage, and she would go alone. She would do the things she had dreamed of through the years, stay in the Village, see Washington Square, Fourth Street, even if she was 30 years late. Her children no longer required her undivided attention. Her eldest boy was at University, his brother would follow him in October, and the youngest could live with his father, his wife, and his over indulged half-sister. In preparation she played all her Dylan albums in chronological order; leaving out only the Greatest Hits packages which she felt were only for lazy fans anyway, not a true purist like herself. Thus fired she made her plans, taking on a second job to augment her savings. All the while she was sifting ideas for instant stardom in her head. The trip would be the catalyst. She got the money together of course, Esther was nothing if not determined, and in due course all was arranged. She had two weeks in New York, and a week in Florida. That was the “sun” factor. She was in a ferment of anticipation, as indeed were most of her friends and family, who prepared her for the trip, with snippets of interesting statistics like: the muggings, the level of violent crime in New York, and the Drug deaths in Miami, all the knowledge they had gleaned from a diet of TV. Esther was unperturbed. She relished the idea of journeying alone, and set about preparing herself for the experience. She read avidly, books by Steinbeck, Jack Kerouac, Brett Easton Ellis, and Gore Vidal. She became American to the core. She ate a steady diet of junk food which someone had assured her was responsible for the American Psyche. Slowly, even her Coleraine vowels began to change. She was ready to go. Everyone else was ready too. Esther’s preparations had been a bit much for all of them. On May 3 1991 Esther Scott flew into Miami. America was everything Esther had expected. She felt absolved, purged, and free to invent herself anew. This vitality was so uplifting that she knew without a doubt that her life’s ambition would be realised by the end of the three weeks. Each moment of the trip was bliss, and the day before her flight to New York, she spent a full afternoon in a salon off the Boardwalk in Daytona Beach Florida, putting the first phase of her plan into action. She was heartened by the enthusiasm and attention to detail of the proprietor, whom inquiries had revealed to be the best in the State. The only fleeting discomfort was caused by the redness of her sunburnt body. Esther’s one remaining problem was, where to ensure her plan would have the biggest impact. She thought at first of the Empire State building, but rejected it as too much of a cliché. Instead she chose Times Square at 12 noon precisely. It somehow seemed appropriate.